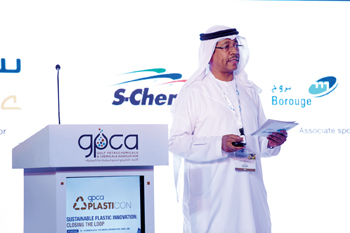 Abu Dhabi Polymers Company (Borouge) recently showcased its latest plastics innovations and versatile polyolefin products at the 5th edition of the Gulf Petrochemicals and Chemicals Association’s (GPCA) Research and Innovation Summit, in Dubai, UAE. The event was held under the theme of ‘Capitalising on Innovation: A Growth Imperative’, reported state news agency Wam. The summit provided Borouge with an opportunity to demonstrate its research and development (R&D) capabilities and the role the company’s innovation capabilities play in driving success and sustainability in the plastics industry in the region. Ahmed Omar Abdulla, CEO of the Borouge, noted that having state-of-the-art R&D centres in the Middle East region enables them to maintain its leading position as the provider of choice of pioneering, innovative and sustainable plastics solutions. He added that these solutions create value to their customers benefiting from the sophisticated proprietary technologies used to create solutions for infrastructure, energy, packaging, mobility, agriculture and healthcare.